Bruce Charles Folstad age 63 passed away unexpectedly Friday March 29, 2019. He was born on March 8, 1956 in Rice Lake WI. The son of the late Ronald and Luanne (Schofield) Folstad. Bruce married Jody Folstad on July 15, 2004 in Janesville, WI. Bruce proudly served honorably in the Unites States Marine Corps and worked in construction most of his life following his military service. Lt. Col, Jamil Khan USMC Retired, stated “Bruce completed recent veteran courses with distinction, he will be missed by all those he met as he touched their souls. This was illustrated by Bruce being a role model in helping other Veterans”. 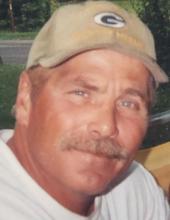 Bruce loved his family, the outdoors, football, (especially his beloved Green Bay Packers) family gatherings, camping, fishing and time with his dogs. Bruce was a true jokester at heart. Even if you didn’t find his random scares or jokes as funny as he did, you couldn’t help but join in on his infectious laughter. He epitomized the true meaning of unselfishness by always putting everyone’s worries and needs in front of his own. He will be deeply missed by his family and friends. He is survived by his wife Jody Folstad, his daughters Emily Folstad (Drake Friesen) of Minneapolis, MN, Jenna Folstad of Madison, Step-daughters, Jamie Shotliff and Megan Bergum (Michael Domke) both of Evansville and their children, Paige, Daniel, Sidney, Braiden, Brogan and Gracie, two brothers, his twin Brad Folstad of Evansville and Brent (Jackie) Folstad of Footville. Nieces and nephews Amanda (Bob) Olson, Andrea (Brian) Matthews, Cassie Tomczak and Chad Folstad. Bruce was preceded in death by his parents and step-son, Mick. A Celebration of Life will be held from 10 am to 12 pm on Saturday, April 6, 2019 at Ward-Hurtley Funeral Home in Evansville. The burial will be held at the Maple Hill Cemetery with Military Honors provided by V.F.W. Post 6905, Evansville with a “Tailgate to Celebrate” luncheon to follow at the VFW in Evansville. In honor of Bruce, please wear your favorite Green Bay Packer gear and give Bruce one last GO PACK GO! In lieu of flowers, the family is asking for donations to be made in honor of Bruce to: https://www.gifts-shelter.org/ways-to-give/donate-now. This is a homeless men’s shelter that helps get people back on their feet just like Bruce always did. To plant a tree in memory of Bruce Charles Folstad, please visit our Tribute Store. "Email Address" would like to share the life celebration of Bruce Charles Folstad. Click on the "link" to go to share a favorite memory or leave a condolence message for the family.